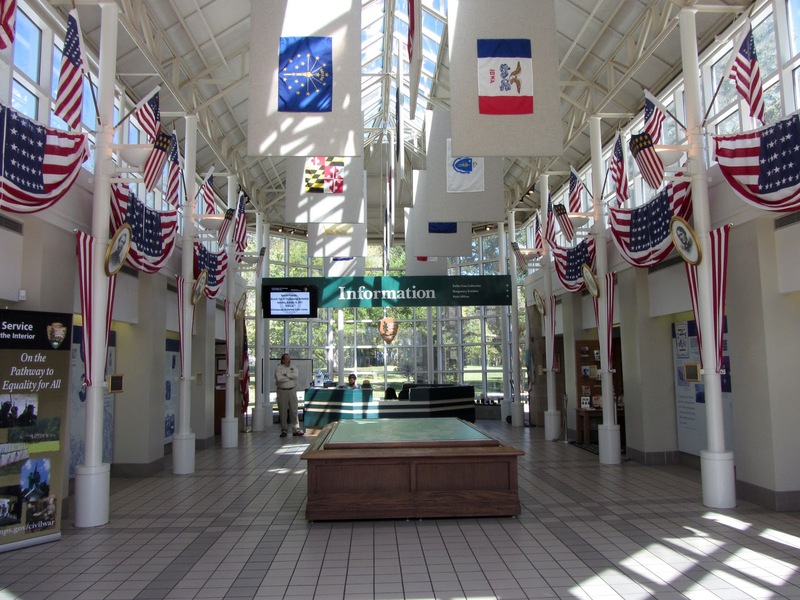 MURFREESBORO, Tennessee — Even though we don't have a big block of time for uninterrupted travel in the near future, we carved out a couple of weeks to continue adding to our list of "states we've 'boxed in." 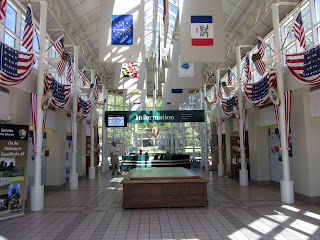 This journey will take us to America's heartland, as we try to visit and letterbox in eight midwestern states in 14 days. We are planning a relaxed pace and hope to catch a minor league hockey game or two along the way. 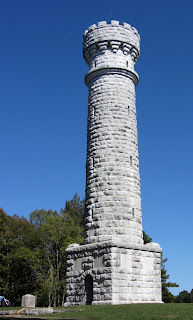 The highlight of our day today was an impulsive stop at the Chickamauga National Military Park in north Georgia near Chattanooga. In the fall of 1863, one of the bloodiest battles of the Civil War was waged there over control of Chattanooga, a key rail center and the gateway to the heart of the Confederacy. In just two days of desperate, often hand-to-hand, combat between 66,000 Confederate forces and 58,000 Union troops, both armies suffered 28% casualties (killed, wounded or missing). Only the Battle of Gettysburg, which lasted three days, resulted in greater casualties. Though the Confederates won the battle by capitalizing on a gap in the Federal lines, a month later Chattanooga was in the hands of the Union, whose ranks had swelled with 36,000 reinforcements. In 1889, just 26 years after the battle, veterans from both sides met in a grand reunion at Chicamauga. The reunion barbecue, attended by more than 12,000, formally launched the effort to preserve and memorialize the Chickamauga battlefield. 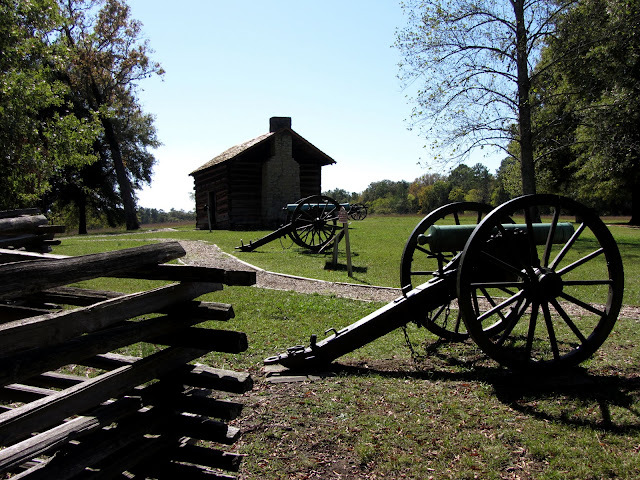 Their efforts contributed to the Congressional authorization of four national military parks to be established at Chickamauga/Chattanooga, Gettysburg, Shiloh, and Vicksburg. 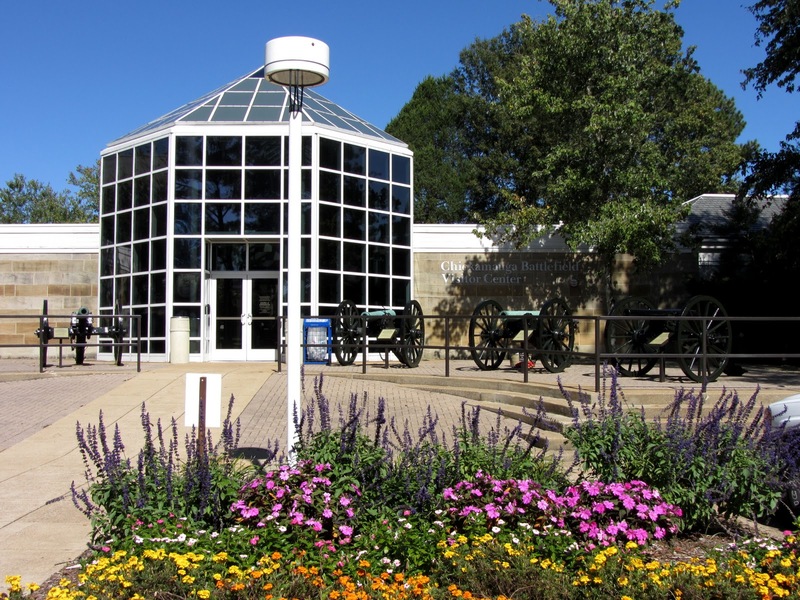 Dedicated in 1895,the Chickamauga/Chattanooga was the first military park in the U.S. and served as the model for most military and historic parks to come. 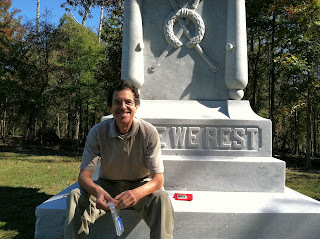 State governments were invited to fund, design, and construct monuments to their fallen citizens within the park. 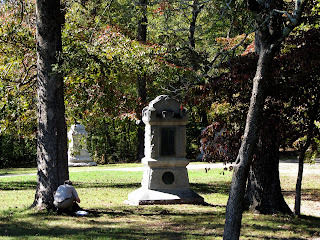 By 1910, more than 1,400 memorials had been erected throughout the park. Monuments honoring the indomitable stand of Union General Thomas's 14th Corps often incorporate a depiction of an acorn. Thomas's troops repelled repeated Confederate assaults, earning them the reputation of standing like a stately oak in the fiercest storm. The acorn was later adopted as the symbol of the 14th. 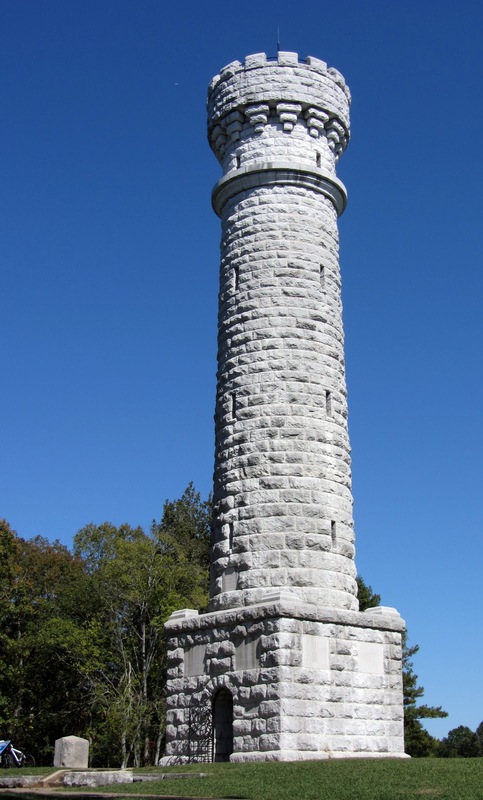 Unlike other monuments, the Wilder Tower was a privately funded memorial, built through the efforts of the Indiana and Illinois veterans of the Union's Lightning Brigade, who fought under the leadership of Col. John T. Wilder. 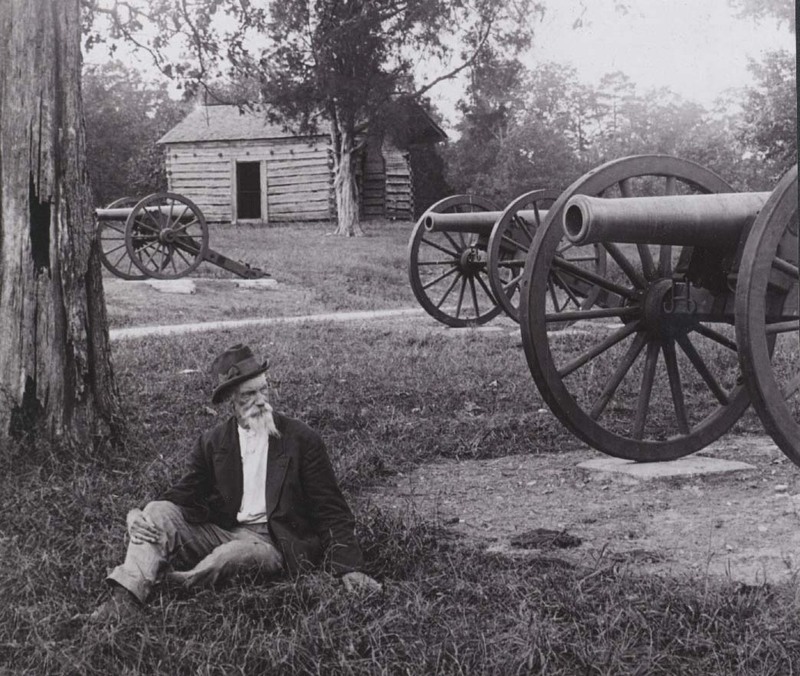 A native New Yorker, Wilder was operating a foundry in Indiana when war broke out. Thwarted by state quotas in his effort to launch an artillery company, he enlisted in an Indiana infantry regiment, where he was soon promoted to lieutenant colonel. A bold and innovative leader, Wilder put his foot soldiers on horseback to increase their mobility and secured a bank loan to arm them with newly devised repeating rifles. 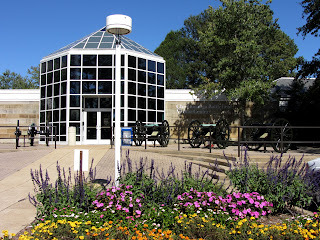 Wilder had created a unit that could move with the speed of cavalry but fight with the power of infantry using weapons far superior to those of most Civil War soldiers on both sides. One of the first units involved in the Battle of Chickamauga and the last to leave the field, Wilder's company was recognized for its swiftness and endurance, revolutionizing military tactics and earning the nickname of the Lighting Brigade. 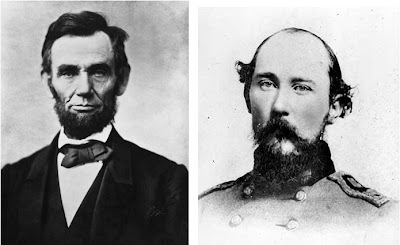 One of the soldiers mortally wounded in the battle was Confederate Brigadier General Benjamin Hardin Helm, the brother-in-law of President Abraham Lincoln. Helm had been leading his Kentuckians against the Union forces when a bullet pierced his side. He was carried to the rear and the wound was inspected by a surgeon. According to accounts of the event, the Confederate leader asked the doctor, “Is there any hope?” The surgeon replied, “My dear General, there is no hope!” Helm died that night at age 32. When the war began, the West Point graduate was serving as an officer in the Kentucky militia. He refused Lincoln's offer of a commission as major in the United States Army and joined the Confederate army instead. When Lincoln learned that his favorite brother-in-law had been killed at Chickamauga, the President was said to be filled with grief. 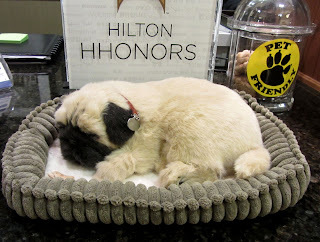 When we checked in at the Hampton Inn at Murfreesboro, a very realistic looking stuffed animal was snoozing in a plush doggie bed at the front desk. The longer we looked at it, the more we began to believe that this little pug puppy might actually be alive. Its side was moving ever so slightly up and down as if it were breathing. But this adorable little guy is indeed a plush toy made by Perfect Petzzz. Conveniently, he sleeps all the time, his food costs are zero, and he never needs to be walked. Perfect pet, indeed. "It took great men to win that battle, but it takes greater men still, I will say morally greater, to wipe away all the ill feeling which naturally grows out of such a contest."